Receipt can be very simple or contain a lot of information depending on the type of product or service and the business. An online ecommerce receipt, for example, could be complicated and have multiple pages. A book of printed receipts, on the other hand, may only have a few lines for good received, price paid and any tax or VAT. 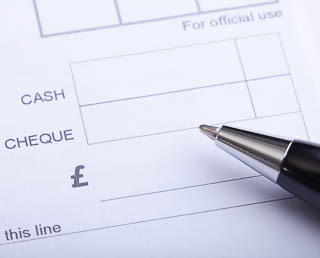 A clear, well designed sales receipt will give a business more authority than one that just uses hand written receipts. So it is worth getting some properly printed receipts or working on your online version. Firstly you need your business name on the receipt. It can include the business address and further contact details, but it's not essential. The customer name to show who purchased the goods. Again, it can include further details such as address and contact information. A receipt reference number is useful for internal accounting and keeping records. A duplicate book would include this. The date of the transaction is also important. The prices of all goods or services should be listed along with any discounts, taxes or VAT, and a total provided.